BOOK-Marketing is probably one of the hardest tasks an Indie writer has to contemplate. Most of us, when we first begin our creative journey of writing, don’t know much about book marketing. I personally found it all rather daunting, and am always very reluctant to sell myself (along with my books). 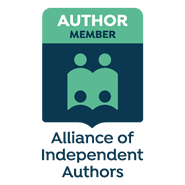 I’ve only just got used to the idea that I can call my self a published author – although “only” a self-published Indie writer. Which now days doesn’t hold the stigma of being second class, compared to the traditionally published author. Even that doesn’t take the task of book-marketing away from authors. As you can imagine, with thousands and thousands of self-published books, it can be hard to get your own books to sell. At first, all your friends, colleagues and family will rush to download your wonderful creation from Amazon, and they too (if publishing with them) will do their little bit of displaying your book as a newly published for a few weeks. So, everything is stomach churning and exciting until….. the first frenzy of sales start to dry up. Your stomach stops the excited butterflies and replaces them with a hard flat brick of despair! Glum, or what? This is a reality for many newbie writers. And I’m sure it is a test of endurance – now is the time to fight back and do all things that should have been done prior to the launch of the book. But, it’s never too late. To give my own book DEATH BY REVENGE a book-marketing boost, I decided to be brave and attempt to sell the idea of an article to the local Newspaper. Think small, I whispered to myself, its no use going to the Nationals until you can get your name out there. Wrong – there is always a chance a large national paper can pick up your article from a local newspaper. I took a deep breath and plunged in. Shudder! I got in touch with a wonderfully responsive reporter. Let out the deeply held breath. Yes, they could do an article about a local author. OMG! Forget the stomach-churning, it was now replaced by a hammering heart, as a photographer was sent around to take some photographs. What should I do? Dress up? Light or heavy make-up? Hair down and curly or up and sophisticated. Will I look fat, will my wrinkles take over my face? Stop! Slow down. People have actually bought my book and enjoyed it, so why shouldn’t I try to increase my sales? So, long story short, the photographs were taken, everything went well and the publication was scheduled for the Thursday. Ah, I thought, I’ll try my hand at this book-marketing lark again, and let everyone know on my Facebook, Twitter, Instagram and Linkedin accounts. “Woohoo, the article will be in the paper on Thursday.” I proclaimed to anybody who listens. Congratulations flooded in. I bought the paper on Thursday and feverishly scrambled through each page, devouring each article to make sure I didn’t miss anything. Nothing!! My article wasn’t there. The heavy flat brick returned to my stomach. My book-marketing attempt had failed with flying colours. How could I be so stupid? Life as I now knew it would surely be changed forever? Aw, wait, a reprieve. My article is scheduled for next Thursday. The pounding of my heart is joined with the stomach butterflies as I wait for next Thursday to arrive. (How much chocolate can one nervous author eat?) Do I announce the day to everyone? Or should I keep quiet? oh, the trials and tribulations of an inexperienced book-marketing author. Join me next week when I hope to share this long-awaited newspaper article with you. Also a few snippets of how my book-marketing skills have progressed.